Oulart Hill is the 1421th highest place in Ireland. Oulart Hill is the second most southerly summit in the North Wexford area. Upon arrival, there are no carved names, no flames, no pools of water. This is a much older kind of memorial. Warren recalls Tallon saying, "What we want, Michael, is to go over a broken stone wall and be there. The approach should be like the surprise of finding a fairy ring. 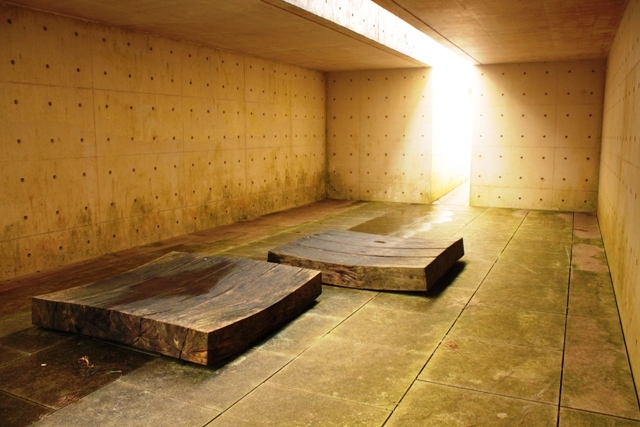 "Tallon chose white concrete for its "pallor of death", illuminated by "the light of resurrection." "We wanted a basic monolithic material of strength and nobility," says Tallon, "with which to create a modern Stonehenge."